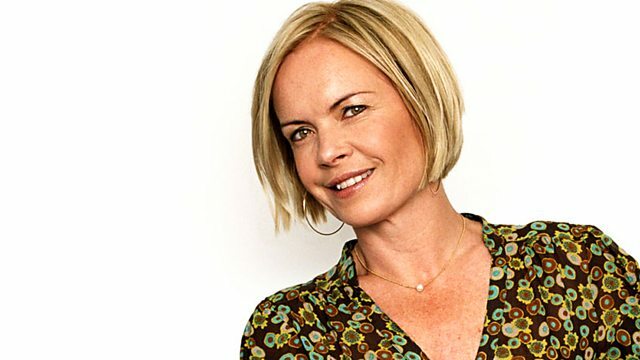 Mariella Frostrup talks to the historian Amanda Foreman about her new book, A World on Fire, which explores Britain's role in America's Civil War. And, Doctor Zhivago re-examined. Mariella Frostrup talks to the historian Amanda Foreman about her new book, A World on Fire, which examines Britain's role in America's Civil War. Foreman's previous book, a biography of Georgiana, Duchess of Devonshire, became an instant bestseller, making her a rarity amongst historians. She discusses the art of making history compelling reading, and why feels she has to fall in love with her subjects in order to write about them. Also on the programme - fifty years after the death of Boris Pasternak, a new translation of his most famous book, Doctor Zhivago, is being published. Two of his descendants, Ann Pasternak-Slater and Anna Pasternak, who have researched his life and work, join Mariella to re-examine the novel which won him the Nobel Prize. Plus - the second part of the memoirs of Germany's most acclaimed living writer, Gunter Grass. Treading the line between autobiography and fiction, Grass writes in the voice of his eight children and reflects on the decades of literary success which followed the publication of his most famous novel, The Tin Drum, in 1959. Novelist Lawrence Norfolk, an enthusiast of Grass's writings, joins Mariella to give the Open Book verdict. PRODUCER: AASIYA LODHI & ELLA-MAI ROBEY. Mariella Frostrup talks to the historian Amanda Foreman about her new book, A World on Fire, which examines Britain's role in America's Civil War.